Place your direct order for a DC ONE-X Series Headset by visiting the David Clark Online Store using the links below. 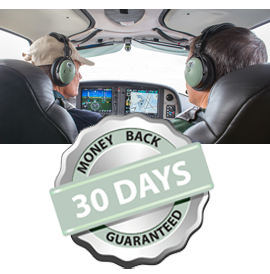 After flying your headset for 30 days, if you’re not totally satisfied, return it for a full refund. You’ll appreciate the difference DC ONE-X Series headsets can make on your very first flight. And don’t forget to enter your Pilot Profile and you'll be registered to receive breaking news, great promotions and product updates from David Clark Company.